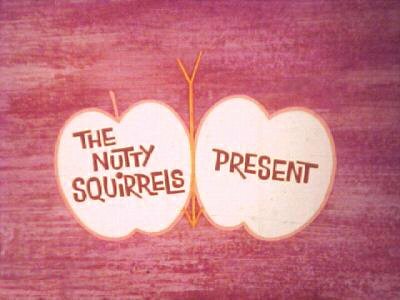 The Nutty Squirrels Present was an animated television series directed by Joseph Bernstein and William Hudson that was inspired by characters from the fictional animated band The Nutty Squirrels, a competing "band" against Alvin and the Chipmunks at the time. The series aired for only one season from 1960 to 1961 via first-run syndication in the United States with over 150 five-minute episodes (which equated to about 30 30-minute episodes). It also aired in Australia under the name of The Nutty Squirrels. It first aired there in early 1966 on ABC and was broadcast across 90 six-minute episodes. Despite this show airing a year prior The Alvin Show, it was a failure commercially and has not been broadcast on American and Australian television since 1982. Only one episode titled "Tiger Trouble" has been found. Since there were no home releases, the rest of the series is currently lost.